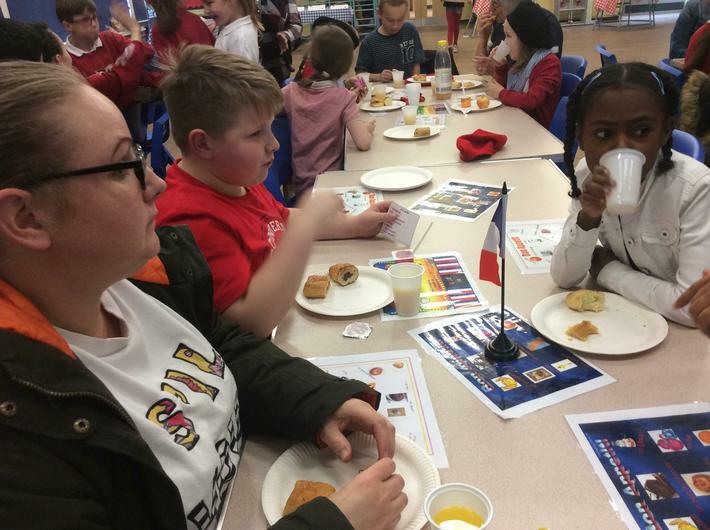 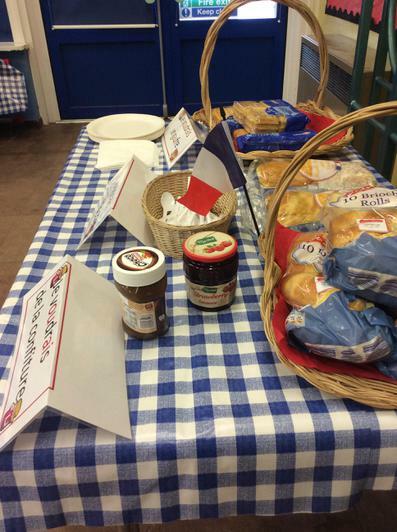 Owl Class was the first class to take part in the Whitehouse "French for the Family" afternoon. 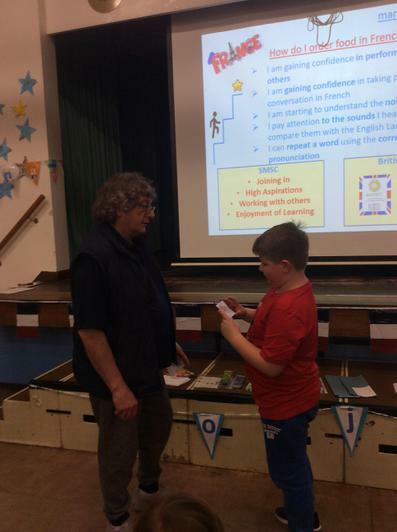 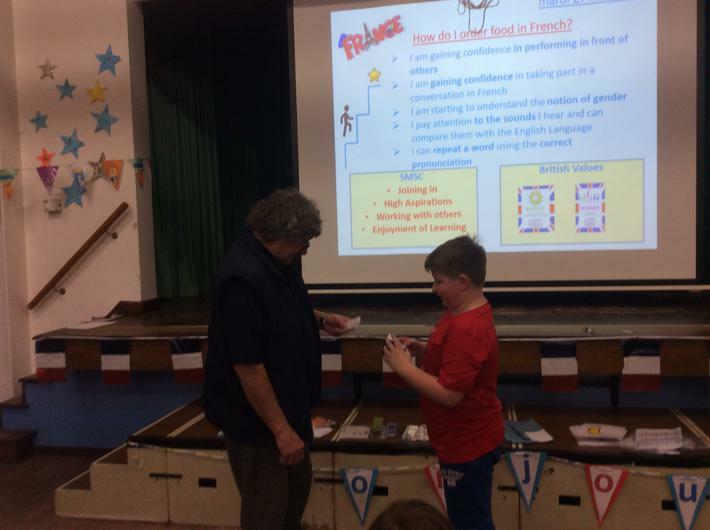 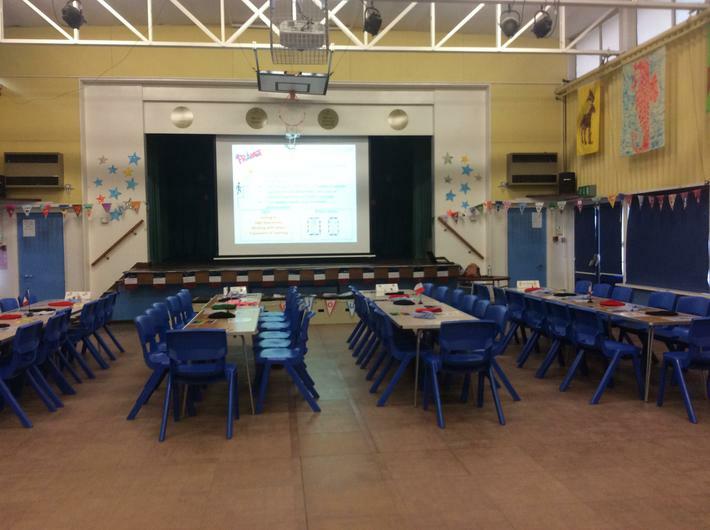 I was invited to join Owls Class (Year 4) in the ‘French for the Family’ Event which was held in the school hall on Tuesday 27th March. 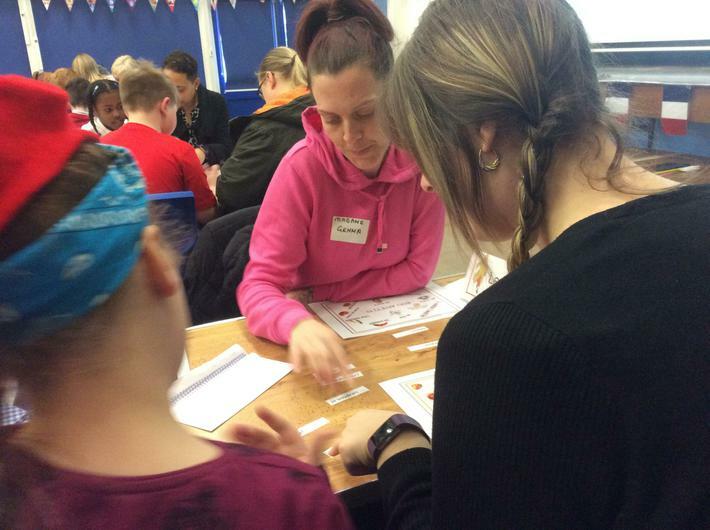 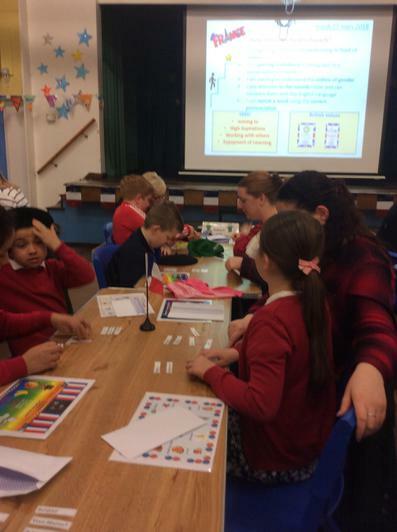 The pupils and parents who attended were divided into 4 teams. 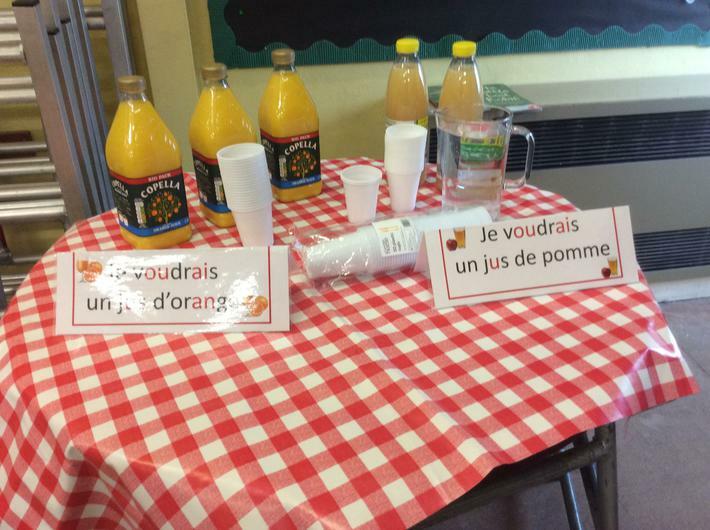 Using a combination of vocabulary and exaggerated gestures, Mme Godet taught us in a fun way, how to greet each other, choose and order from a menu, a wide variety of food, then say ‘thank you’ and ‘goodbye’ in French. 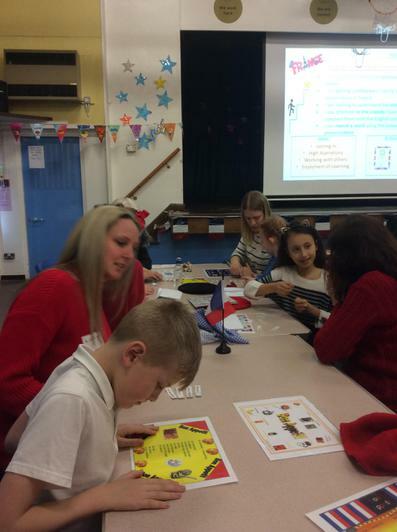 Everyone had a chance to practice their new skills in their teams. 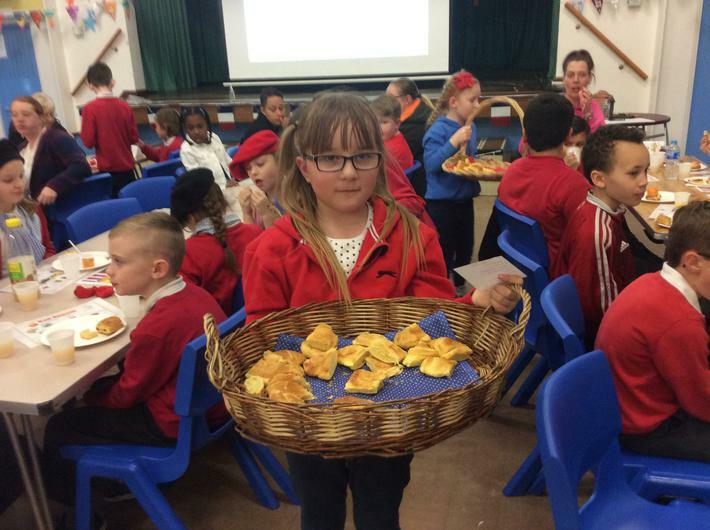 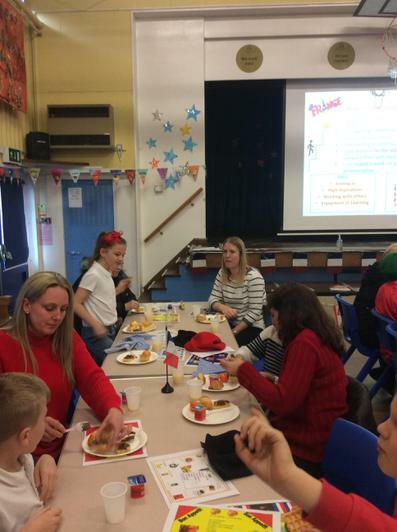 Waiters and waitresses were chosen from the pupils and parents. 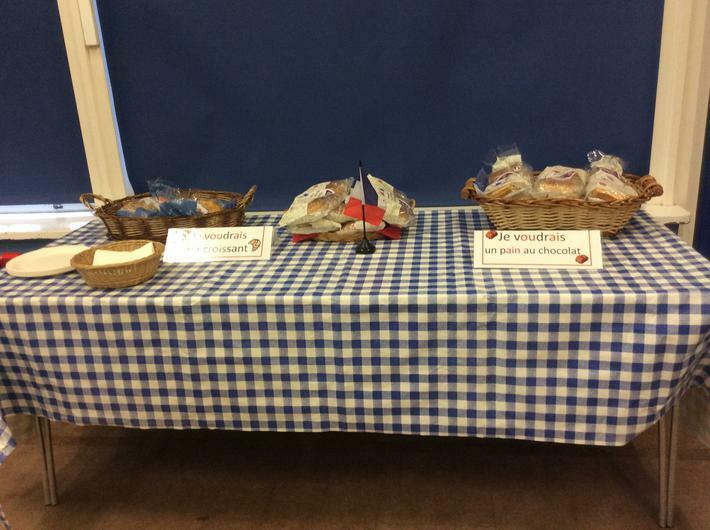 Baskets containing a selection of food and drink were taken around the hall. 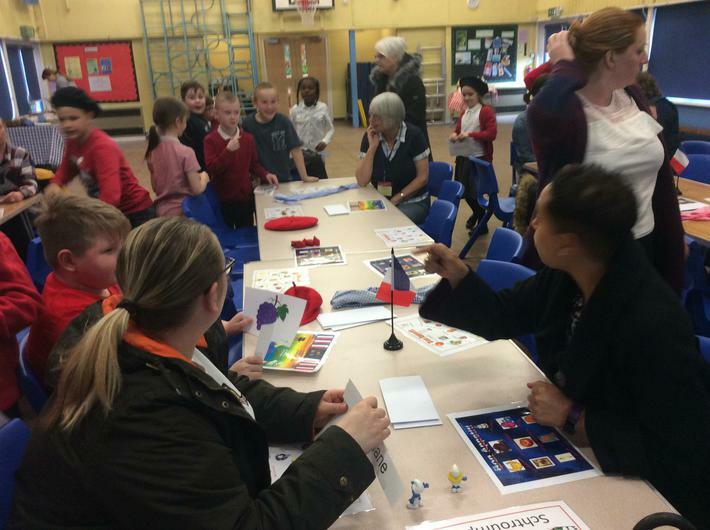 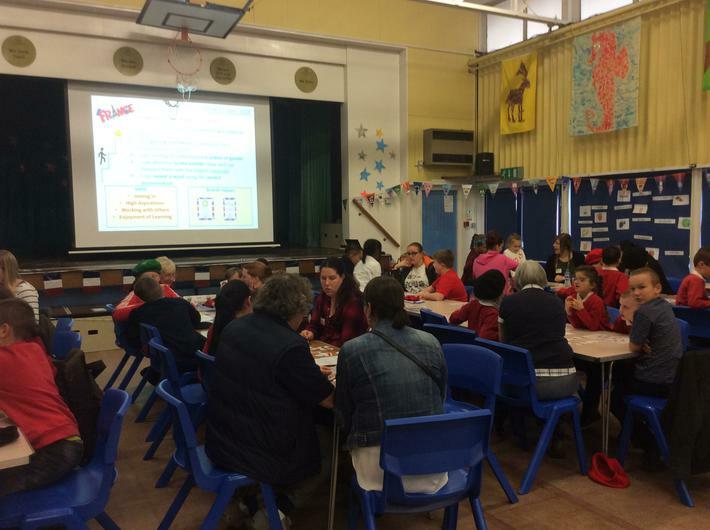 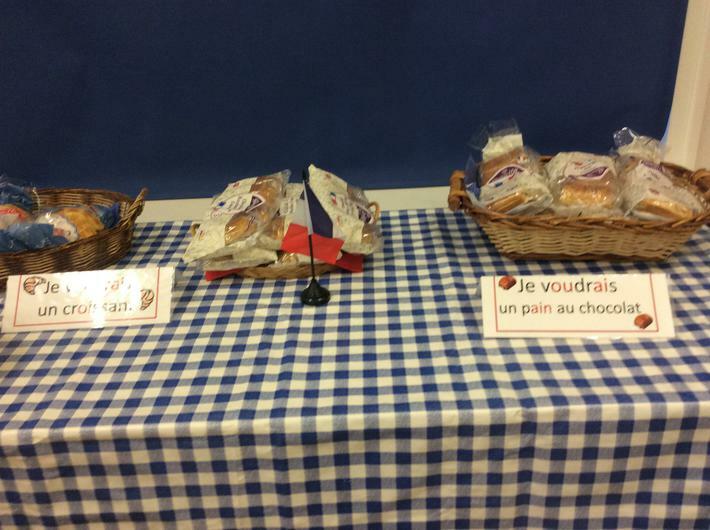 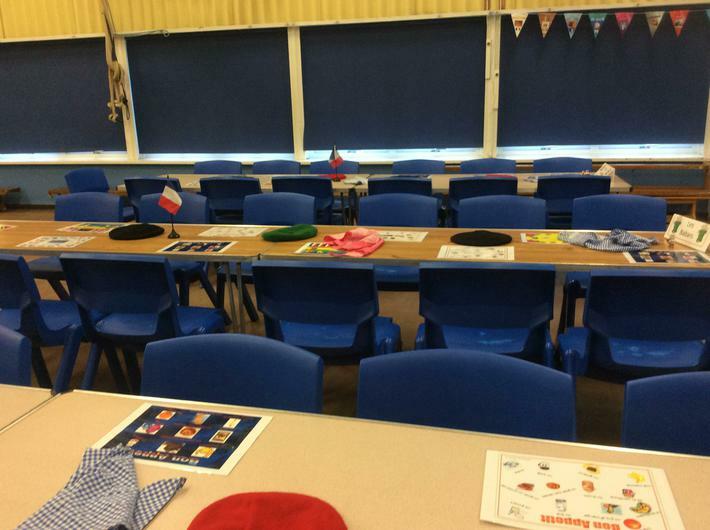 Parents and pupils who were sitting at the tables then requested their choice in French. 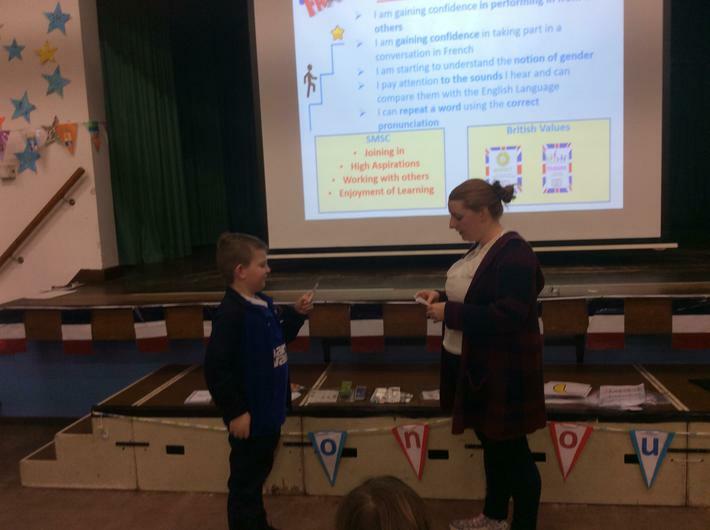 Using the new selection of words, conversations took place in French, everyone putting into practice what they had learnt earlier in the afternoon. 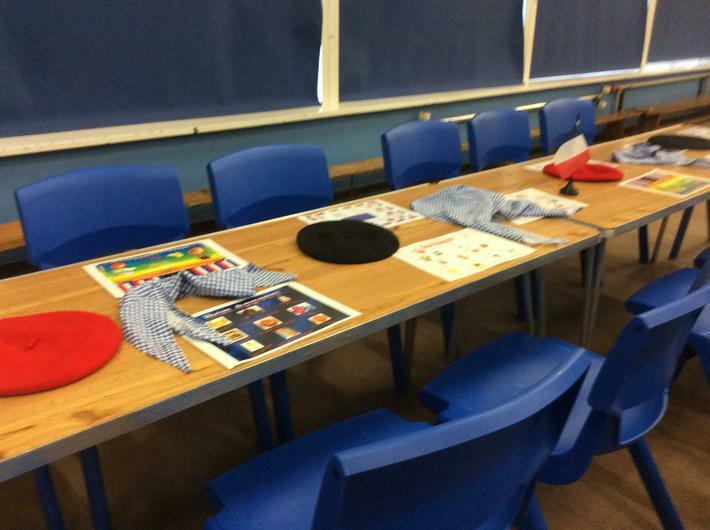 Various games in French were played encouraging Team Work. 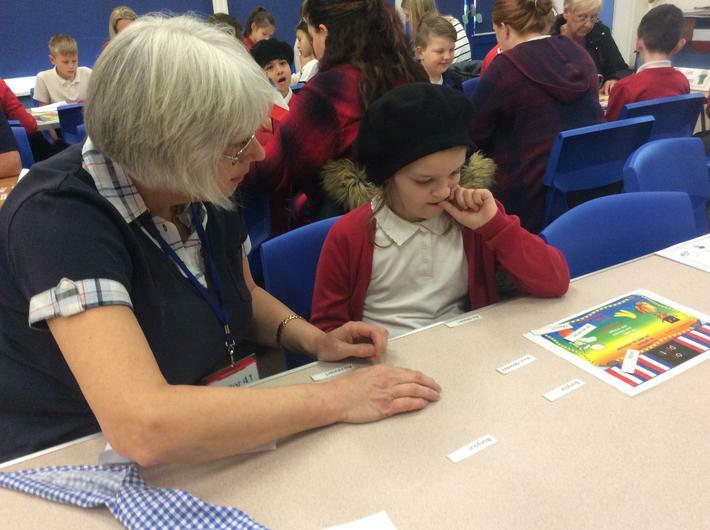 An ‘Adults verse Pupils’ identification game was closely fought. 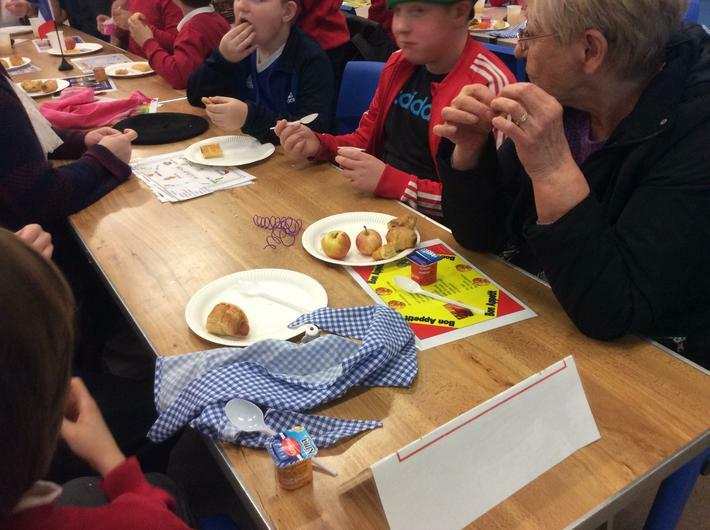 Written feedback from the seventeen adults who attended was very positive. 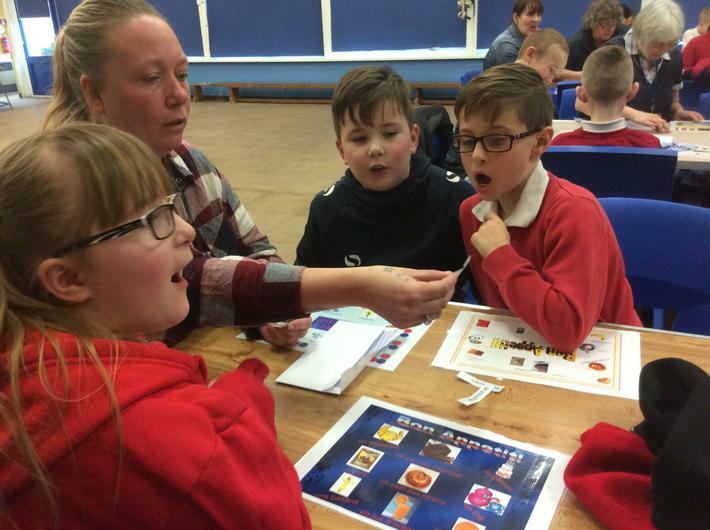 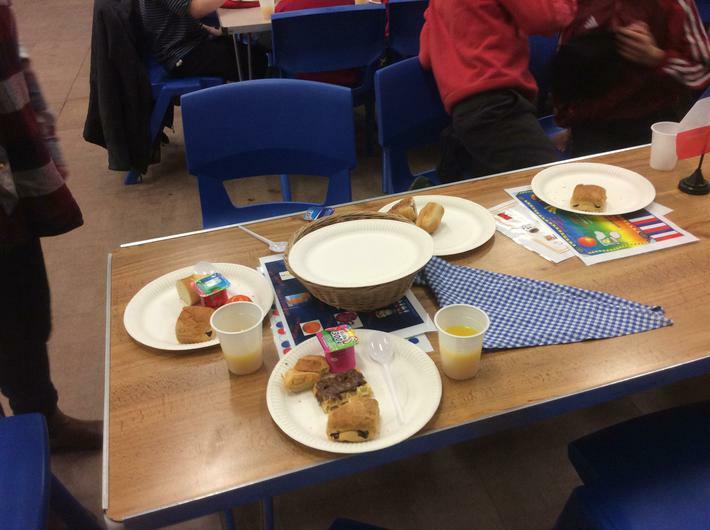 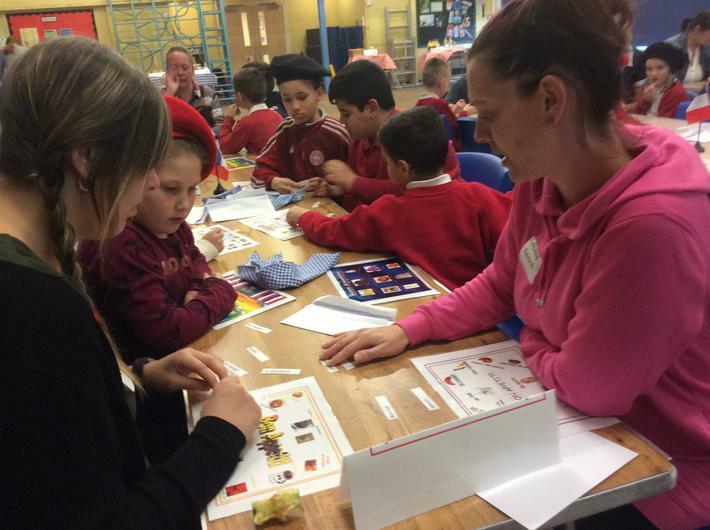 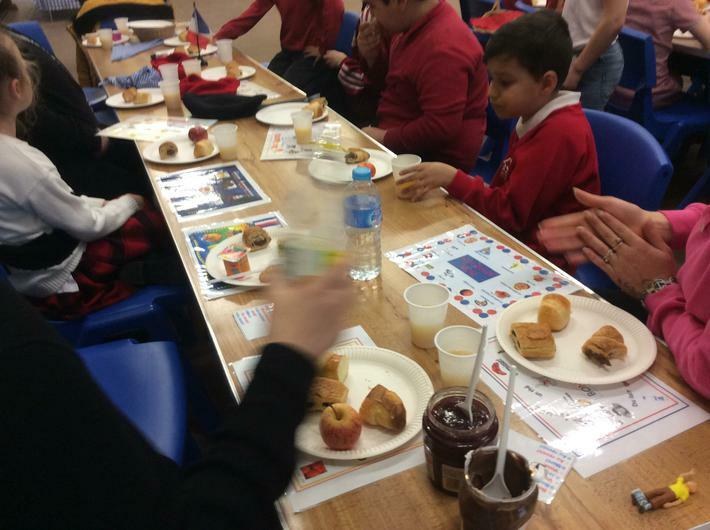 ‘Enjoyed playing the food games,’ ‘Enjoyed ordering food in French,’ ‘Enjoyed talking to my friends in French’, ‘It was fun trying new foods’ and ‘Working together with my child,’ are a selection of some of the comments made.